Don’t Confuse Scale and Growth Venture Capital Funds: How Much Do Women Founders Receive? Should Benefits Be Restructured to Reflect the Rise of the Gig Economy? U.S. businesses are increasingly using workers who are not employees to fill available jobs as part of their business strategy. Whether they are termed contract workers, temporary workers, or gig economy workers, these people work at hourly wages, not at a salary. The wages may be set by an agency that employs contractors, a staffing agency that specializes in temporary workers, freelancers themselves, or a platform that connects organizations needing workers and the workers themselves, but they are not employees of the companies for whom they do work. A Verizon cable installer, for example, may be employed as a contractor by an agency, but does not work for Verizon. An Uber driver is self-employed according to the company, not an Uber employee. Whatever the terminology and method used, the rise in the number of people working in the gig economy is notable. A decade ago, according to a Pew Charitable Trusts report, 10% of the workforce could be classified as contract/temporary/gig. Now, from 16% to 20% are. National Public Radio (NPR) recently reported that the number could approach half the workforce a decade from now. Gig economy workers do not receive benefits. Because these workers are not employees, they receive neither the benefits employees get as part of employment, such as health insurance, retirement funds such as 401(k)s, vacation days, or sick time or the benefits paid for by employer/employee taxes, such as unemployment insurance, Social Security, and workers’ compensation. A growing number of observers across the political spectrum believe that this is causing growing inequality in the workplace, especially as the number of uncovered workers grows. Traditionally, benefits have been linked to full-time employment because when the systems were initiated, most Americans were full-time employees. That is one reason why health insurance, to give just one example, has been linked to having an employer until very recently. Some analysts and politicians are proposing that the system needs to be changed to accommodate the growing number of workers whose employers or agencies don’t classify them as employees. 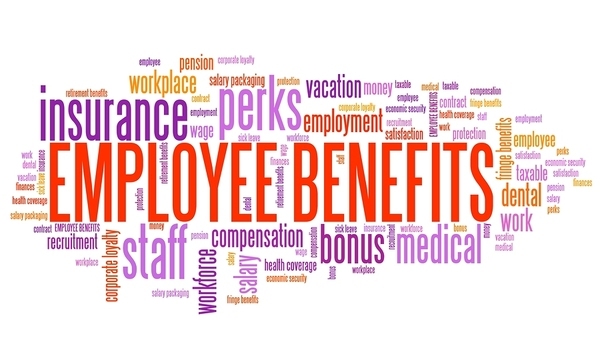 A new benefits model, in other words, might be the ultimate solution to a new workforce model. What Would the Solution Look Like? One solution is to make standard benefits, such as unemployment insurance, Social Security, and workers compensation, portable from job to job. Politicians from New York to Washington state have either implemented or proposed legislation for plans like this. In New York state, for example, contract taxi and delivery drivers are eligible for workers’ compensation through a general fund paid by a 2.5% consumer surcharge on every ride given in the state. The fund, called the Black Car Fund, makes roughly 125,000 drivers eligible for workers’ compensation, which pays doctor bills and lost wages for people hurt on the job. If you’ve been hurt on the job and it wasn’t your fault then it might be a good idea to make a third party claim. If this is something that you are thinking of doing then you could visit this website here to find out how to make this sort of claim. There are different types of claims that you can make that involve using a law firm. For example, you might have had to get medical care due to your injuries affecting your day to day life. For more information on what to do when you take medical care while on workers’ comp, click here. NPR points out that states like New Jersey and Washington are considering analogous methods: benefit funds that raise money from surcharges or taxes on the work contractors perform, which is then available to them. For now, no solution is assured. There are large logistical issues, such as how the surcharges, payments, or taxes are collected, where they go, who benefits, and for what. But the existing models are intriguing solutions to an existing problem likely to become larger in the future.